The grommets can help protect the string of your badminton racket and extend its life, very useful accessory. 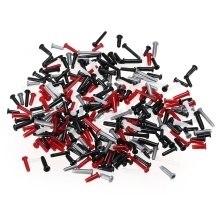 1 bag of badminton racquet grommets. Protect the string of your badminton racquet. Small and lightweight, convenient to carry.